It's getting to be that time again... Time for another fantastic round-up of audiobook reviews! Since Kelly has some fabulous GUYS READ stuff planned for this week at Stacked, your AudioSynced Roundup will be happening here at Abby the Librarian on Tuesday, March 1. Did you review an audiobook in February? Drop me a link in comments and I'll be sure to include it in the roundup! Didn't review an audiobook this month? 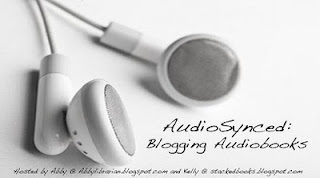 Don't worry, AudioSynced will be back next month with another roundup! So, what have you been listening to?